Many times people postpone dental care because of a busy schedule or fear of the dentist. Some think that tooth or mouth pain will simply go away. If this sounds like you, we can reverse the effects of dental decay, disease, and damage through modern, comfortable restorative therapies at our Schenectady dentistry practice. Dr. Lieberman and Dr. Page provide a variety of dental therapies to help you regain oral well-being. 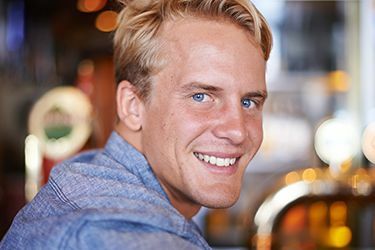 As skilled restorative dentists, we may suggest composite resin fillings to restore health and preserve your all-white smile. Durable crowns, inlays, and onlays attractively repair structurally unsound teeth. A root canal is a conservative therapy option to save an infected or sensitive tooth from extraction. For severely damaged dentition, extensive comprehensive treatment restores optimal dental well-being. “They actually repaired dental problems that I was not really aware of. Since I have been here my blood pressure has lowered to the normal range, I have lost weight, and I feel better overall." Sometimes decay compromises a tooth severely, and more enamel must be removed. Broken, cracked, or severely worn teeth weaken your smile, cause pain, and diminish quality of life. Dr. Lieberman and Dr. Page practice conservative dentistry, which means we save as much of your natural tooth structure as possible. Drs. 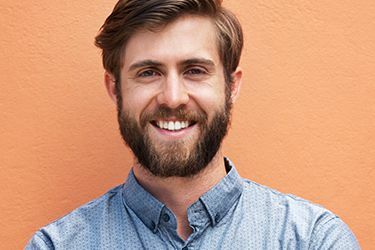 Page and Lieberman can restore structurally unsound dentition at their Schenectady dentistry practice with durable, custom crowns, inlays, and onlays, so that you can keep the smile that you’re born with. When a tooth has become heavily infected or traumatically injured to the point that dangerous bacteria are able to reach the inner pulp and root canal(s), the need for extraction can seem imminent. Thankfully, there’s a saving grace – root canal therapy can restore health to the damaged tooth and allow patients to maintain their natural smile. Many patients have heard of root canal therapy’s scary reputation, but at our office the procedure can be comfortable and very successful. In fact, most of our patients say it hurts no more than routine fillings. Dr. Lieberman and Dr. 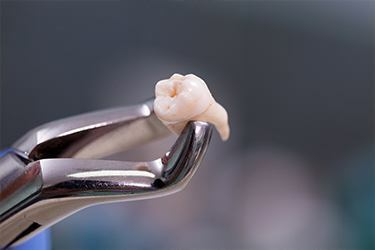 Page will carefully access the inner chamber of your tooth with special tools and remove diseased pulp, taking care to clean the tooth thoroughly and seal it shut to prevent further infection. A custom dental crown or filling is typically recommended to restore the tooth’s strength and function. With the help of proper maintenance and hygiene, many teeth that are treated with root canal therapy go on to last for the rest of the patient’s life. It’s important to repair tooth decay as soon as possible to prevent extensive tooth, gum, and bone damage. At your checkup or new patient exam at our Schenectady dentistry practice, we’ll check your existing dental work for use and wear and check for signs of decay. 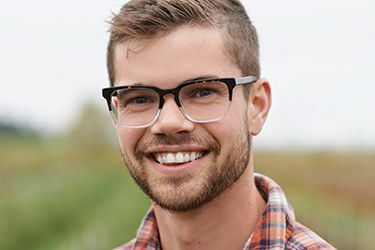 If you need a new filling or want old fillings replaced, our doctors recommend composite resin to attractively and efficiently eliminate decay and strengthen teeth. Composite resin won’t warp or change shape and is resistant to bacteria and decay. As a modern restorative dentistry practice in Schenectady, Drs. Lieberman and Page offer advanced technology. For many patients, we use air abrasion to remove decay. Air abrasion is a comfortable alternative to a dental drill. Dr. Lieberman or Dr. Page will tint the composite resin to match your natural tooth color and bond it to your tooth, restoring strength and function, while retaining your all-white smile. Our dental team works hard to help patients maintain the full set of healthy, natural teeth that’s so valuable to them. However, circumstances can arise where extraction becomes necessary for your wellbeing. This is never truer than with your third molars, which emerge into a patient’s smile in the teenage/young adult years. Most mouths simply don’t have enough space to accommodate wisdom teeth, which can lead to overcrowding, impaction, infection, and other unpleasant consequences. Dr. Lieberman and Dr. Page take care to monitor patients’ wisdom teeth as they grow, and if our team determines that complications are likely, we may recommend extraction as a preventive measure. This procedure will be handled as smoothly as possible; sedation dentistry is available for patients who need additional help feeling genuinely relaxed. Your comfort is always a top priority for us! In any case, should you ever require an extraction, Dr. Lieberman or Dr. Page will use their expert touch and dental sedation if requested to ensure that you’re comfortable from start to finish. For tooth replacement, you have lots of options. 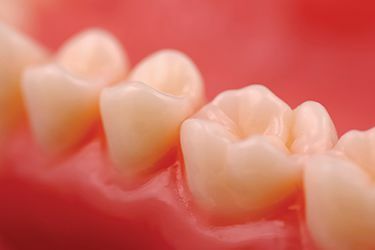 Dentures and partial dentures are an affordable, removable way to replace teeth, usually all of the teeth along an arch. 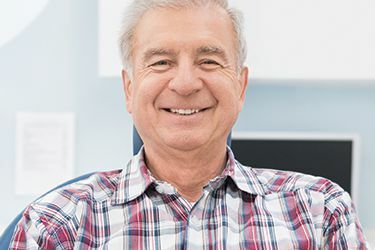 At Capital Smiles in Schenectady, New York, we offer dentures and partials to make tooth replacement possible for every patient, no matter the limitations. If your smile is marred by missing teeth, you’re probably not enjoying life to the fullest. At Capital Smiles, we can revitalize your appearance and restore oral function with durable, attractive dental implants. Fear of the dentist is common. If you suffer from dental anxiety, we can calm your fears and provide a positive experience through sedation dentistry at our Schenectady dentistry practice. You deserve a healthy mouth and strong smile. Our Capital District dental practice offers 3 options to help you relax and receive the best dental care available: 1) nitrous oxide, 2) oral conscious sedation, and 3) IV sedation. After reviewing our list of restorative dentistry options, please contact our Schenectady dentistry office if you have questions or would like to schedule an appointment with Dr. Lieberman or Dr. Page. Our team gladly assists residents of Niskayuna, Albany, Troy, and surrounding areas in the Capital District.